At Harvard Medical School, George is the first incumbent S. Daniel Abraham Chair, a Professor of Surgery/Nutrition, and the Associate Director of Nutrition in the Division of Nutrition. At Beth Israel Deaconess Medical Center (BIDMC), Department of Surgery, he is the Director of the Center for the Study of Nutrition Medicine (CSNM). He also serves as Associate Director of the Boston Nutrition Obesity Research Center (BNORC), and is one of the original investigators of the Look AHEAD (Action for Health in Diabetes) trial. Early in Dr. Blackburn’s career he established one of the first nutrition support services. 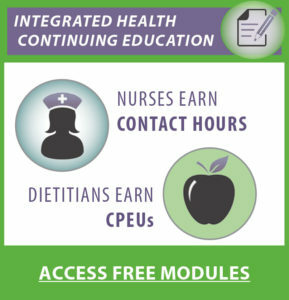 This also included a nutrition fellowship training program. He has trained over 100 fellows and countless residents. Dr. Scott Shikora, Director, Center for Metabolic and Bariatric Surgery, Brigham and Women’s Hospital, Boston, Massachusetts, was one of his surgical residents and a nutrition fellow. When Drs. Dan Jones and Ben Schneider took over the Bariatric Surgery program at BIDMC in Boston, George was their mentor. In 2008, the BIDMC recognized this by giving him a mentorship award. His teaching also included directing the Harvard Medical School CME program, International Conference on Practical Approaches to the Treatment of Obesity for 25 years (1986–2011). As Associate Director of the Division of Nutrition at Harvard Medical School, he still plays an active role in the development of curriculum and the tutoring of our medical students, and provides our minimally invasive surgery fellows with guidance on their research projects. Among other accomplishments, Dr. Blackburn performed the first Roux-en-Y gastric bypass procedure in New England in 1973, and spearheaded best practice standards for weight loss surgery. In 2005, he was the Vice-Chair of the Commonwealth of Massachusetts Betsy Lehman Center for Patient Safety and Medical Error Reduction Expert Panel on Weight Loss Surgery. This panel made evidence-based recommendations for best practices in weight loss surgery. In 2009, he chaired the expert panel that updated the recommendations for best practices. Dr. George Blackburn’s work has encompassed basic, clinical, and translational research in areas of critical importance to public health. It has resulted in over 400 publications in peer-reviewed journals, many review articles, over 100 textbook chapters, multiple patents, and a mass market book published in 2007 titled, Break through Your Set Point: How to Finally Lose the Weight you Want and Keep it Off. More importantly, he has had a direct impact on patient safety and quality of care across a wide range of disciplines. The Department of Surgery at BIDMC recently honored Dr. Blackburn by naming the Bariatric Surgical Service the Blackburn Service. This was a very fitting honor for one of the pioneers in the field. Blackburn G, Corliss J. Break Through Your Set Point: How to Finally Lose the Weight You Want and Keep It Off. HarperCollins Publishers, New York, 2007.